Kamikaze tiny drone launches from its pneumatic carrying tube, extends its wings, and zooms at speed up to 115 mph, driven by an electric propeller. But the 7-lb. Hero 30 can also cruise at slow speeds, loitering over an area. A stabilized camera and a thermal imager in the nose beams back video to the operator. Hero can fly for 30 minutes, long enough for the operator to locate, identify, and confirm a target several miles away. He then sends the Hero on a kamizake run with a one-pound explosive warhead. Made by uVision, the Hero-30 drone is a 2017 Israeli weapon may prove to be a disruptive force in military technology, heralding a new type of warfare in which shooting at a target you can see is as rare as using a bayonet. It’s the killer UAV you’ll never see coming. It’s been clear for years that the next phase in military drone technology would be to go small, because the game-changing potential of these tiny drones is clear: In the past, soldiers have been able to take cover behind a wall or a ridge, or by digging a foxhole. Loitering munitions like Hero, which can attack from any direction, strip away this cover. The only place to hide would be inside a bunker. With other weapons you know when someone is firing at you, and where they are. With Hero there is no muzzle flash or report and it can be launched from miles away. Enemy snipers and mortar teams can be engaged from a safe distance and behind cover. 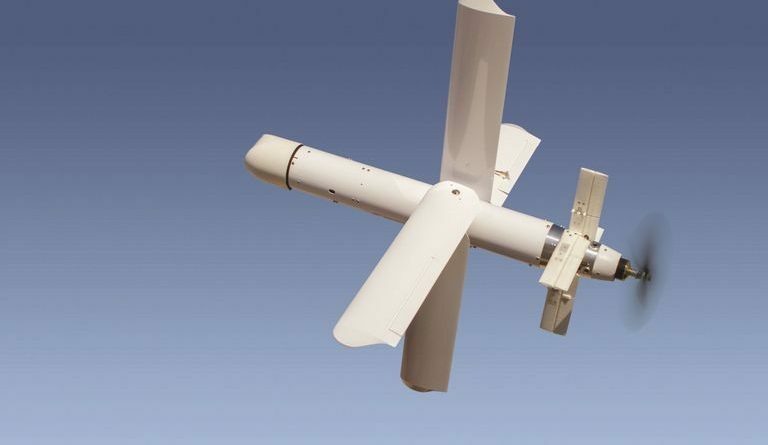 The US military has been working on its own portable killer drone, known as the Lethal Miniature Aerial Munition System (LMAMS), since 2004. In 2012, a trial batch of Switchblade drones built by Aerovironment was sent to Afghanistan, where they were used against “high value targets” (generally a term for insurgent leaders). However, this experiment by the U.S. military was only a trial. Meanwhile, Hero is already out there, though its makers, uVision, is understandably reluctant to give details of sales. The Hero-30, like LMAMS, has sophisticated terminal guidance software. It can lock on to evading targets and pursue them automatically, targets which might be prove difficult to hit with manual control. The most obvious customer would be in the Israeli Defence Force; the Hero-30 is particularly suitable for the sort of urban anti-insurgent operations that the IDF are involved in. “Our system is highly efficient in urban territories and its precision, pinpoint strikes reduces casualties of civilians to a minimum,” says Baron. The one-pound warhead is less likely to cause collateral damage than larger weapons like Hellfire, and it can attack from any angle, including diving down vertically. There is also a last-second “go around” function if the operator has doubts over the target when seen close up from the Hero’s camera. But selling advanced drone tech has caused controversy for Israel in the past. In 2005, for example, the US pressured Israel not to carry out upgrades to Harpy drones supplied to China by Israel Aerospace Industries. The Harpy is a loitering attack drone which homes in on anti-aircraft radar and destroys them. With drones getting smaller and easier to use, worries have only intensified. There have been suggestions that consumer drones could be converted into ‘flying IEDs‘ by terrorists. Flying a radio-controlled plane or helicopter used to require a degree of skill, but some recent quadrotors are designed to be flown by beginners, virtually out of the box. It would not take an electronic genius to attach a grenade; a crude weapon, but deadly against an unprepared enemy. And it seems like the world is unprepared for the proliferation of small drones—just note how easily a simple one invaded the White House lawn.